You already know that new technology can significantly boost donor engagement in your organization’s fundraising campaigns, but what exactly are all of your options when it comes to fundraising software? Nonprofits are always looking for new ways to raise more donations online, but there are tons of tools out there! The choices can be overwhelming for organizations looking for new fundraising software to incorporate into their campaigns or daily operations simply because every campaign (and every nonprofit) is inherently different, with its own nuanced targets and goals. Each of these fundraising tools can offer your organization something different, so read on to discover your nonprofit’s next big fundraising game-changer! Fundly is quite possibly the perfect crowdfunding platform. Designed to work for both individuals and nonprofits, Fundly provides simple and intuitive tools to get your campaign page up and running quickly while keeping your donors and supporters engaged at every step. High engagement is one of the top benefits of any social fundraising! With its simple web and mobile app software, Fundly might be the easiest way to kick off your campaign. Fundly stands out from the pack of crowdfunding platforms for a number of reasons. Aside from the fact that it’s made for nonprofits of all shapes and sizes, Fundly offers a number of unique features that will kick your online fundraising campaign into high gear. Mobile-optimized fundraising pages and social media tools that look great and work smoothly on screens of any size. Customization options to maintain your distinct brand across your campaign pages and reassure donors of your professionalism and value. Secure payment methods that will work quickly and safely for both you and your online donors. Best of all, and unlike other crowdfunding platforms, there is no minimum of raised funds required in order to keep your donations. Fundly works just as well for individuals, small nonprofits, and larger organizations alike because it scales with the size of your campaign. Fundly is one of the most affordable crowdfunding options available. Your organization pays only a 4.9% platform fee and then a flat rate of 2.9% + $.30 per transaction for donation processing. After that, the funds you raise are entirely your own! Fundly will never hold your donations hostage with an arbitrary threshold or deadline. Salsa is one of the most comprehensive and intuitive nonprofit CRMs on the market. 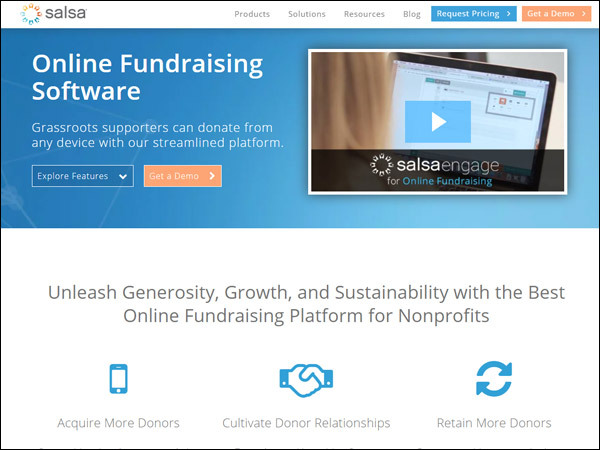 You might already use professional software to manage one or more parts of your nonprofit’s operations, but Salsa can quickly and easily give you the tools to unite everything in one software solution. Having the big picture in mind is essential to effective fundraising, and Salsa can give you the tools you need to make the best decisions for your campaign. Most importantly, Salsa provides its users with flexible tools designed for both front- and back-end management. Engage your donors with effective tools while receiving all the important feedback and data you’ll need to lead your campaign to success. As a mix of fully comprehensive and user-friendly, Salsa could be the perfect fit for your campaign since their tools can adapt to the exact needs of your organization. Donor management tools to identify important trends and create organized profiles for your major supporters. Online fundraising components to create donation forms, process payments, and manage event registrations. Peer-to-peer fundraising options to quickly and easily launch new peer-to-peer style campaigns. Best of all, as a fully integrated software solution, Salsa provides you with analytic insight from each step of your fundraising and operational process. This is the information that smart organizations use to learn from past projects and thrive during major campaigns. If you’re interested in Salsa’s products, contact them for a customized quote. Since Salsa offers distinct software for fundraising, full CRM systems, and even advocacy-oriented planning tools, package prices will vary. We love OneCause not because they do one thing well, but because they do many things well. OneCause can provide your nonprofit with several high-quality and extremely effective digital event fundraising tools. Most importantly, they’re all designed to work together, keeping your events organized and attendees engaged. OneCause offers a number of mobile tools for taking your digital fundraising to the next level, but they’re especially useful for their versatility. OneCause’s products are effective as standalone fundraising strategies or as integrated elements of mixed online/physical fundraising campaigns. Intuitive event software to drastically simplify the ticketing, registration, payment, and data collection processes of fundraising events. Mobile bidding and auction systems for creating unique live events and managing online auctions. Text to give technology to provide event and auction attendees even more easy donation options. 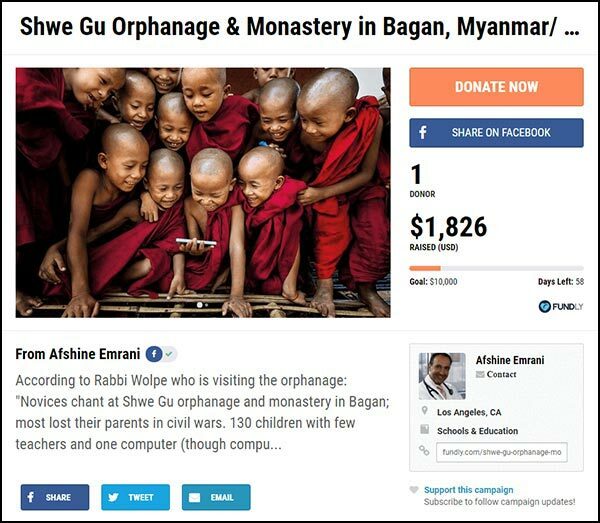 OneCause is a favorite not just for its suite of highly effective digital fundraising tools but also for the fact that its tools work in harmony. 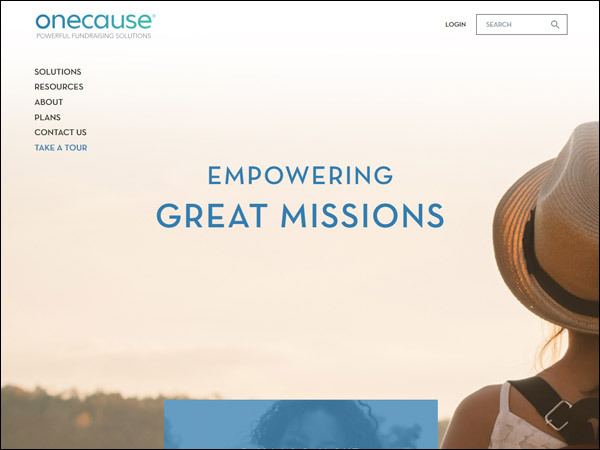 If your nonprofit is looking to build its own fully customized fundraising toolkit, OneCause is probably your best choice. As one of the most customizable software solutions on the market, prices vary. If you’re interested in what OneCause has to offer, browse their site. Contact them once you’re ready for a fully customized quote. Double the Donation’s digital tools are designed to help you make the most of a donation opportunity that is too often overlooked by both nonprofits and donors. Matching gift programs, in which an employer will match part, all, or more than twice an employee’s donation, are an incredible opportunity for nonprofits to amplify the effects of a successful fundraising campaign. By providing your donors with the Double the Donation database of corporate matching gift information, you could see your donation revenue grow by leaps and bounds. Dedicated matching gift pages for donors to check their eligibility for matching gift programs. This is a convenient solution for organizations of all sizes. Embeddable search tool plugins make the search as easy as possible for your donors at the point of direct engagement, like on a thank-you page. Double the Donation’s extensive database of matching gift policies creates a surprisingly simple simple way to maximize your matched donations. Matching gifts make an excellent subject for both digital and direct mail marketing campaigns. Additionally, the strengthened relationships between your organization and donors with generous matched gifts are invaluable in and of themselves. Double the Donation can be an affordable tool for any organization. With multiple tiered levels of service, you can find the best fit for your nonprofit. Check out their site for more information or to start a 2 week free trial. We think you’d probably see an uptick in matched gift revenue! By investing in your ability to receive matched gifts, you can provide a permanent and built-in boost to any of your current or future fundraising campaigns. 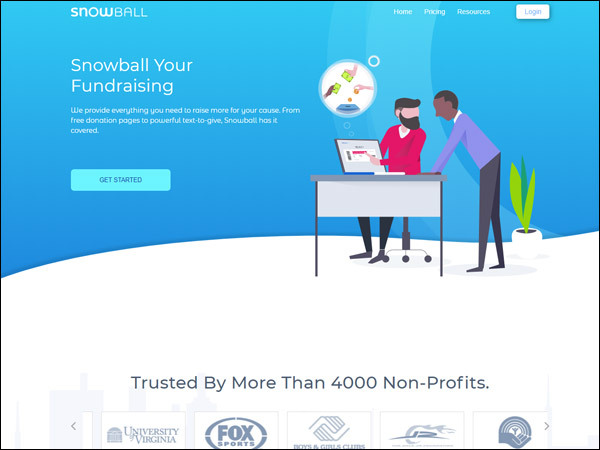 Snowball can offer your organization a number of game-changing digital fundraising solutions. Every nonprofit knows that donating should be an intuitive and quick process. Snowball can shrink your rates of donor abandonment by significantly reducing any friction at this crucial point of contact. This can be done with any number of their software tools, like streamlined donation buttons and forms, text-to-give, mobile pledge fundraising, and unique secure login solutions. Explore some of Snowball’s core digital products and services. At least one of them will more than likely be a perfect fit for your organization’s fundraising initiatives and allow your nonprofit to distinctly stand out in your local field. Optimized digital donation pages and tools that take advantage of Snowball’s secure and simplified payment process. Text-to-give mobile donation services are incredible opportunities, especially for nonprofits that host live fundraising events. Unique passwordless login software that work by authenticating identity through other means, like email. Snowball offers several tiered levels of service for its suite of digital fundraising tools. The core fundraising package, however, is free to begin using. Your organization will only pay a flat rate of 2.9% plus $.30 on each donation transaction generated through their web or mobile services. Check out all of Snowball’s options to see which will best suit your organization’s needs. Bonfire is hands-down the smartest and easiest way to raise funds with products. T-shirts are a fundraising staple and for good reason. By purchasing your organization’s branded clothing, your supporters feel great about supporting your cause and letting the world know, too. Every nonprofit’s fundraising goals and parameters are inherently different, but t-shirts can be a perfect complement to all kinds of campaigns, especially crowdfunding. Bonfire provides easy and effective ways to engage and reward your supporters. Full customization with Bonfire’s powerful design software lets you create beautiful shirts your supporters will love. Risk-free minimums and deadlines let you set your own campaign length, and the minimum number of shirts you need to sell adjusts based on the prices you set. If you don’t reach the minimum, no one is charged. Promotion tools make it easy for your donors to share their purchase on social media, increasing exposure for your campaign. 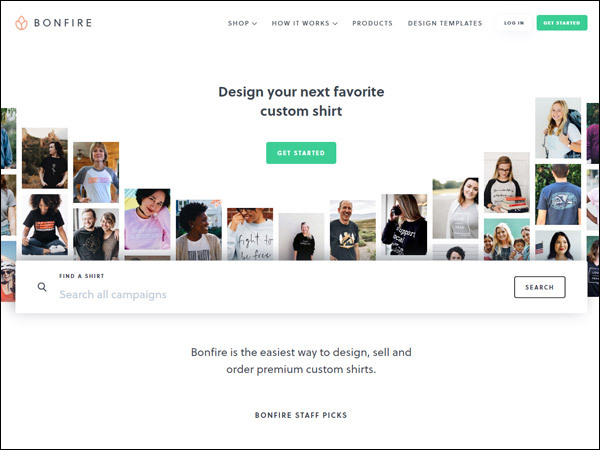 By taking stress and guesswork out of t-shirt fundraising, Bonfire has made it radically simple for organizations to accomplish two simultaneous goals: easily raise money online while promoting a visual identity through branded merchandise that supporters will be proud to wear. By setting your own prices, promoting your products, and using Bonfire’s easy calculator tools, maximize the impact of your t-shirt campaign and set your own profit margin. Offering a physical Bonfire product in exchange for donors’ support can make their decision to donate easier than ever. That Bonfire will handle all the logistical and financial aspects of the campaign makes your decision easier, too. Qgiv offers any software tool your organization could need to optimize its digital fundraising like never before. With its all-in-one suite of online giving tools, including peer-to-peer fundraising campaign software, customizable donation pages, and event tools, Qgiv makes it easy to fine-tune every aspect of your campaign. If your organization has considered conducting a peer-to-peer fundraising campaign, Qgiv certainly offers a product to fit your needs. Qgiv understands that uniting all of your digital fundraising outlets allows your organization to maximize the efficiency and accuracy of its campaigns, and all of its digital tools are geared towards this goal. Explore some of the software solutions that your nonprofit could use. Peer-to-peer fundraiser management lets your supporters create individual pages to raise funds on your behalf and gives you access to crucial metrics and marketing tools. Mobile giving tools can greatly simplify the entire donation process and increase the chance of completed donations. 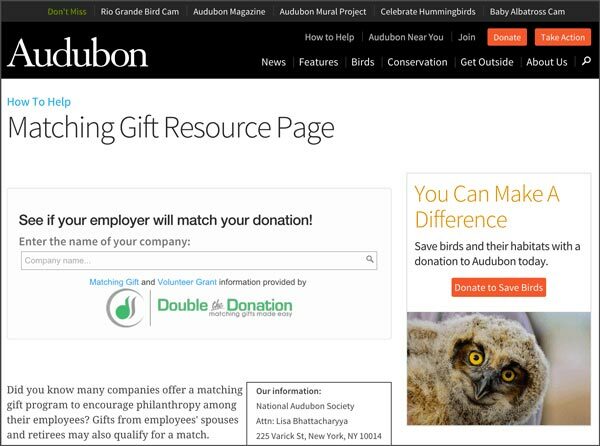 Donation page optimization lets you fully customize the appearance, text, and reporting settings of your donation sites while enjoying comprehensive support and training. 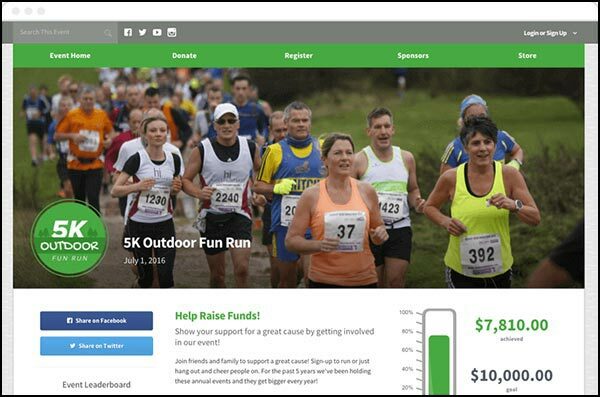 Digital tools for fundraising events allow your staff and volunteers to manage and increase event registrations, receive in-person credit or debit donations, and even schedule recurring donations. An ideal digital fundraising campaign consists of several strategies that can complement and support one another. All of Qgiv’s fundraising software tools are designed to work together to both increase your donation revenue and make the entire process more intuitive for you and your donors. Qgiv does not require a full contract to use any of their plans; you pay by the month and can freely change between plans if your organization finds that it needs more or less digital donation support. Best of all, you can start with Qgiv’s free plan and pay only a flat rate of 3.95% + $.30 per digital transaction. With adaptable plans and a huge range of services, Qgiv can be a great choice for nonprofits of all sizes, particularly those seeking to conduct a unique and engaging peer-to-peer fundraising campaign. 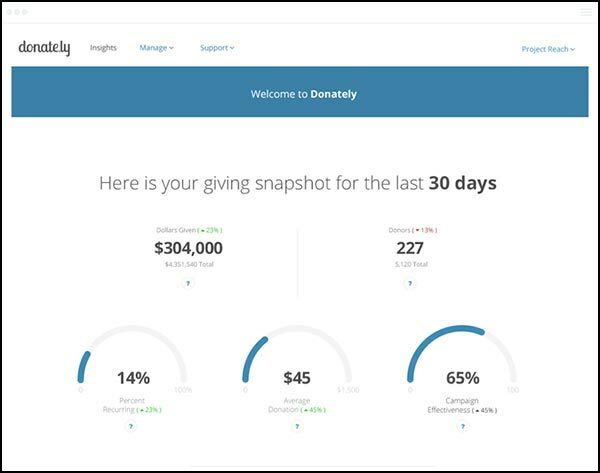 Donately can give you efficient and attractive digital donation tools perfectly scaled to the size of your smaller organization. Many nonprofit fundraising software products will provide your organization with a bundle of digital tools that might be too big for your needs. Donately can give you exactly the tools you need without overwhelming your digital capabilities. Donately’s minimalist approach nonetheless focuses on quality and efficiency, so it’s a great choice for small- to medium-sized nonprofits looking to streamline their online donation systems. Improving donor experience is the core goal of Donately’s digital fundraising products, so intuitive and user-centered design is at the center of everything they do. Donation forms and embeddable tools to create an attractive and intuitive page or custom donation tool for desktop and mobile browsers. Standalone pages and peer-to-peer options allow you to easily convert your donation pages into exciting peer-to-peer fundraising campaigns. Useful analytics and integrated app support keeps all your campaign data up-to-date on MailChimp, Google Analytics, Salesforce, and more. Donately provides a strong core service without any unnecessary frills or add-ons. If your organization needs a lean and reliable fundraising software solution, look no further. Donately believes in building strong relationships with its clients, so pricing plans for its digital products rely entirely on how much your organization is able to raise using them. For instance, you’ll pay only a 3% fee on your first $100K raised with their donation form and processing tools. Donately even offers some opportunities for nonprofits to reduce these rates even further. Additionally, Donately requires no contracts or monthly or annual fees. The only additional associated costs are for transaction processing through its partner and industry leader, Stripe. Let’s face it, nonprofit accounting is different than other forms of bookkeeping. You have donors you need to keep track of in addition to salaries and payment processing fees. MIP Fund Accounting is an excellent way to take care of all your nonprofit accounting needs. When you start fundraising, it gets even more complicated. Dealing with event-planning and campaign strategies means that your fundraising accounting needs change all the time, so you need a software that can adjust to your situation and your timeframe with maximum security and minimum difficulty. With a sleek and easy-to-integrate design, MIP Fund Accounting can combine seamlessly into any preexisting infrastructure your campaign might use for the fundraising process. 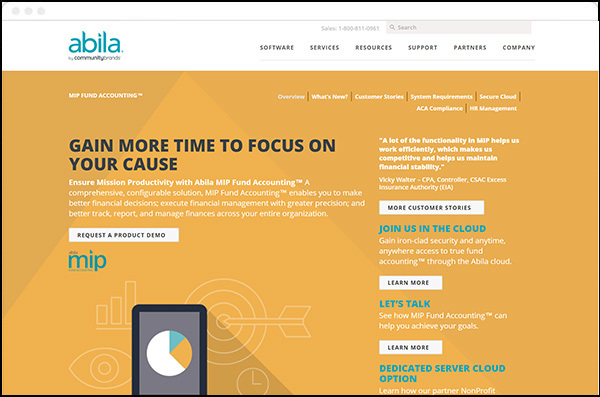 With MIP Fund Accounting, your fundraising process will become not only more efficient for your development officers but more effective with your donors. MIP Fund Accounting offers custom pricing depending on your nonprofit’s needs, so go to their website if you think it would be the right fit for your organization. Don’t underestimate the importance of smart and efficient accounting while you’re examining your campaign strategy. Look at MIP for your nonprofit today. DonorSearch is a leader in nonprofit prospect management and development. If your organization is pursuing larger fundraising projects or capital campaigns, having an integrated approach for identifying and targeting prospective major donors can be half the work. DonorSearch provides your organization with the essential tools to make this step as easy and organized as possible. DonorSearch’s fundraising software is designed to plug your organization into crucial resources to guide your campaign strategy. Take the guesswork out of prospect development with its comprehensive databases and organizational tools. Exhaustive wealth and philanthropic data in one of the most comprehensive databases of nonprofit prospects available lets you target your major fundraising campaigns more accurately than ever. Smart search capabilities help you analyze giving patterns and find the prospects most likely to become essential donors for your campaign. Organized portfolio tools allow you to compile your prospects for easy access, use these tools to identify important trends, and pinpoint relevant data in seconds. As a prospect development software and database, DonorSearch can be most useful to large organizations with dedicated fundraising development staff. Nationwide nonprofits, schools, and hospitals have all found immense fundraising success with DonorSearch. 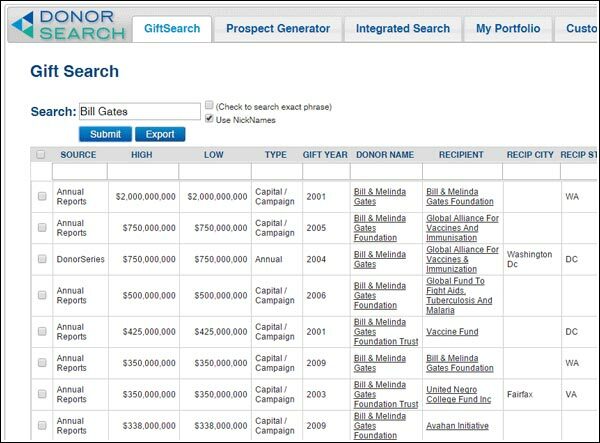 As a service to help guide organizations with major fundraising and capital campaigns, DonorSearch tools and database access is designed for large organizations with higher budgets. Depending on your exact needs, costs may vary, so if you think that DonorSearch might be a good fit for your nonprofit’s goals then contact them for a detailed estimate. If your larger organization is looking to substantially boost donation revenue without needing to drastically expand your donor base, 360MatchPro is the perfect solution. By reminding your donors of their eligibility, you can significantly boost your donations and help your supporters to feel even better about their donations. 360MatchPro is specifically designed for larger organizations to maximize matching gift revenues through integrated and automated software tools. 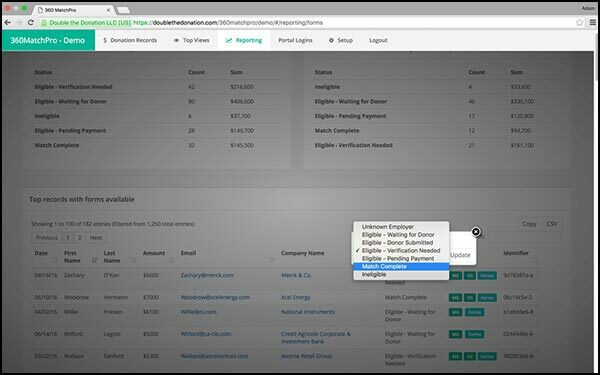 Automated identification software can immediately identify donors eligible for corporate matching gifts by their email domains or supplied information. Automatic messaging options ease the entire matching gift process by keeping your eligible donors aware and engaged. Integrated tracking and analytics portal gives nonprofits with the ability to track the progress of their donors’ matching gifts and make smarter strategy decisions. 360MatchPro is typically better suited to larger organizations with the higher budgets to encompass multiple simultaneous projects. If you think automated matching gift tools would be a great move for your organization, contact 360MatchPro to discuss estimates or even schedule a demo. CharityEngine is a complete software ecosystem designed to help nonprofits like yours build and maintain relationships with donors. Higher lifetime value. A long-term donor is more valuable than a one-time donor. Smarter engagement. It costs less to keep a current donor than to acquire a new one. With CharityEngine, you’ll have access to an all-in-one solution that was built with these concepts in mind. With CharityEngine, your nonprofit can encourage and track the entire donor journey for each and every one of your supporters. This helps you build relationships with donors and retain them for the years to come. CharityEngine offers a 7-day free trial so you can get first-hand experience using the software solution before investing. Contact the CharityEngine team for more information and a quote. 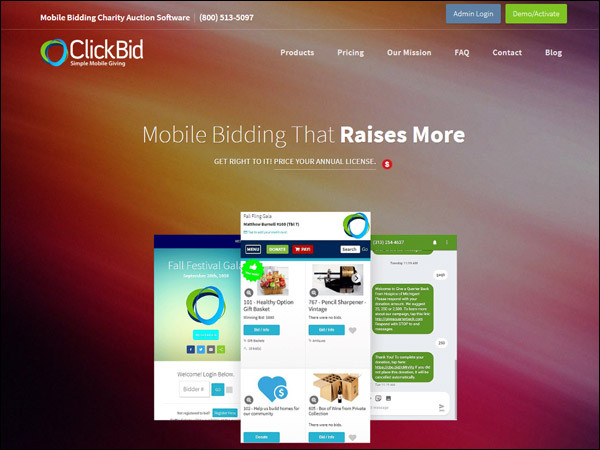 ClickBid exists to simplify the entire charity auction experience. If your organization has ever hosted a fundraising auction, you know how complicated these events can be. The logistics of organizing the event itself, the prizes, bid sheets, and payment processing can be overwhelming and costly – both in time and money. By streamlining the auction process, taking it mobile, and giving you the tools to boost your donation revenue in new ways, ClickBid can offer your nonprofit invaluable help in running live fundraising events. Mobile bidding software lets all your supporters get involved in your next fundraising auction event with simple and intuitive mobile software. Organized event management helps your organization to manage mobile check-in and -out, create customized event websites and landing pages, and integrate ticket and membership sales. Text-to-give tools and support can be the perfect complement to any live fundraising event by providing an additional donation option. Any organization that hosts fundraising events can benefit from ClickBid’s services. With efficient tools to integrate multiple fundraising strategies, ClickBid can be an excellent choice for your next campaign. ClickBid’s services are offered in fully customizable packages, meaning you can find exactly the right fit for your organization’s events. Contact ClickBid to discuss a custom quote. DonationForce is a comprehensive donation management solution for smaller organizations. Designed to work best for organizations with fewer than 10,000 donors, DonationForce offers a suite of digital fundraising management tools to boost your donations and increase donor retention. Your organization will be able to make smarter fundraising choices with each completed campaign. Quick payment options for web and mobile make the entire process easier than ever for your donors, and you’ll receive deposits in only 48 hours. Automated messaging for thank-yous, receipts, end-of-year appeals, and campaign progress reports are crucial to building relationships with your donors. Matching gift integration lets your donors quickly search for their eligibility, and you can see your donation revenues grow substantially and with very little effort! The wide variety of digital fundraising tools offered by DonationForce makes it useful for practically any organization. Plus, its services are completely flexible and customizable. Make the most of your nonprofit’s online presence by increasing positive user experience and streamlining the entire donation process. DonationForce is an incredibly affordable option for smaller organizations who need to optimize their online fundraising strategies. You pay only a flat rate of 1% plus minimal credit card processing fees for access to the entire suite of DonationForce fundraising software. It’s got all the features you need to turn visitors into donors, plus it comes at one of the lowest rates on the market. When researching new fundraising software solutions for your organization, you’ve got a lot to consider. 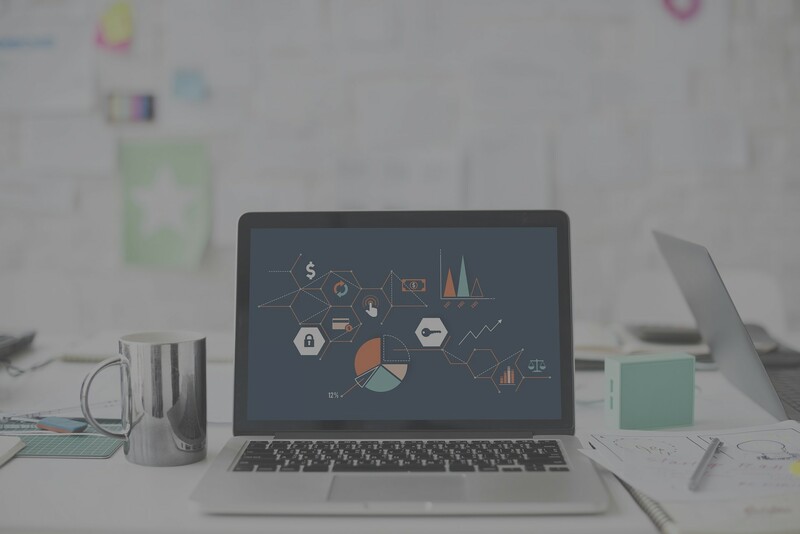 Depending on your type of organization, its goals, its mission, and its budget, there are plenty of options out there that can help you optimize your entire digital fundraising strategy. Top 8 (Tested) Technology Solutions for Nonprofits from DNL OmniMedia. Check out this list for more ideas about how technology can boost your fundraising efforts. Membership Software Guide. This resource from Fonteva can cover some of the different features to look for in member management tools. Guide to the Top Advocacy Software Solutions. This overview from Double the Donation can walk you through the essentials of any good advocacy campaign software. Disappointed with our top choices? Reach out to ReCharity to learn more about being featured as a top nonprofit provider!